Major buying group in the electrical appliance and kitchen retail industry, Sirius Buying Group, has announced Mark Veysey as its new general manager with effect from February 1st 2019. Appointed with the intention of bringing a heightened level of commercial expertise to the group, Mr Veysey will be responsible for helping SiriusApproved Members and Suppliers to take fulladvantage of the different business services available from the group. In addition to facility management, Mr Veysey will alsoprovide an added layer of support to Sirius, emphasising its unique ideology and loyal mind-set and culture which defines the group. 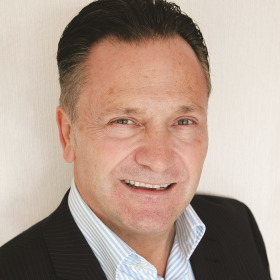 Prior to accepting the new general manager position at Sirius Buying Group, Mr Veysey spent seven years with Retra the UK’s leading trade association for independent electrical retailers and servicing organisations. This led to Mr Veysey taking a consultative role at Retra, advising and training members on warranties, finance, FCA compliance and many other business issues relating to the electrical retail sector. Preceding this, he had a successful career spanning over 15 years within the building materials sector in various senior and managerial positions within leading companies: notably Spring Ram and Brett Martin. “The appointment of a new general manager was an inevitable move for us, as we needed a dedicated person to oversee daily business activities, improve overall functions and implement new strategic plans to develop business. We are confident that Mark will be able to communicate these goals andestablish new market resilience as 2019 will see the group safeguard ‘the independent’: especially amid post-Brexit rules” said Mr Jones.